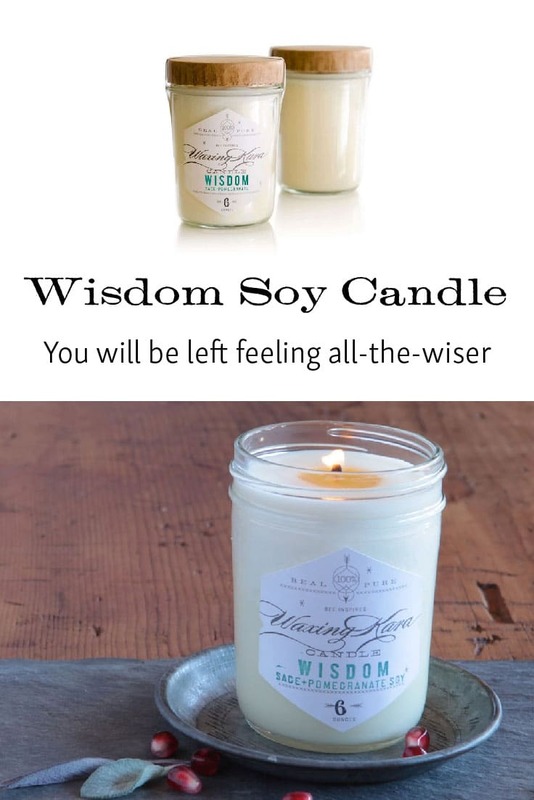 Wisdom Soy Candle is grassy, bright and romantic featuring the herbal scents of sage and pomegranate. Perfect for in a stuffy kitchen or den to lighten the space and clear the air. Vibrant, sweet and fresh with an herbal finish. 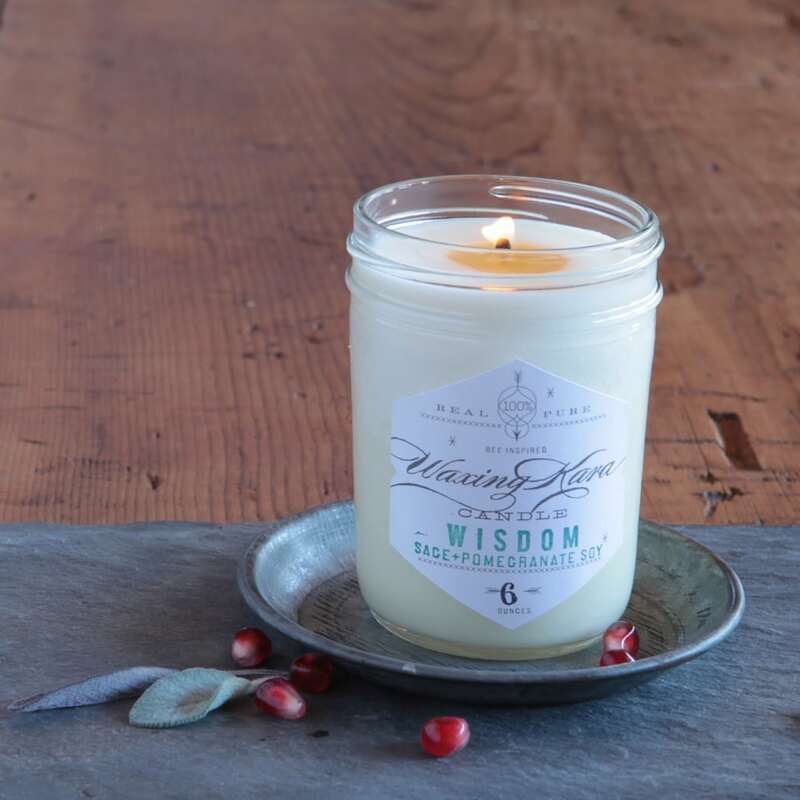 Our Wisdom Soy Candle name was inspired by the ancient roots of the pomegranate and sage plants. Perfectly fresh and clean, Wisdom clears the air and fills the home with a light fragrance. Exceptional in the kitchen and high traffic areas of the home. Fragrance: A grassy, herbal, and earthy blend of pomegranate and sage.